Welcome to 2019. Have you spent the New Year well and started fulminantly into the new year? Also this year Vienna has a lot to offer, I have summarized some of the highlights here in the blog. So that you can start already with the travel planning. Part 2 of the highlights follows in 2 weeks. Here in the blog it continues to be colorful, interesting, mysterious, exciting, looking behind the scenes, ... . Look forward to many new facets of Vienna that you will get to know and discover. I am pleased to introduce you this year our great city and its people here in the blog and thank you already for the zealous reading of the articles. If you have something missing here in the blog or an idea for a post, then write me at stephanie@rank.at. So and now to the Highlights 2019 Part 1. Every year there is a very special focus in Vienna, this year is all about "Vienna 2019: Vienna the stage is yours". And you may already be curious, because the Vienna Tourist Board has come up with quite a lot again. Because it's all about giving you insights into otherwise hidden and inaccessible worlds and getting to know Vienna from its theatrical side. As a visitor, you are the main actor in the middle of it .... Take a look at the website of the Vienna Tourist Board. 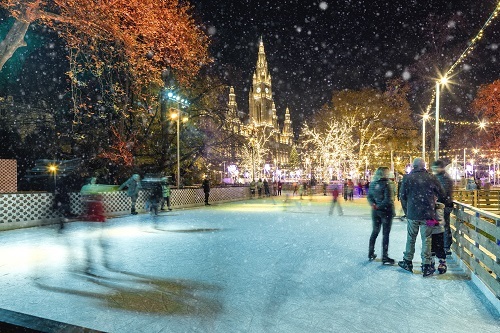 Where, just a short time ago, the gigantic Christmas market enchanted young and old, namely right in front of the town hall, you will now find a fascinating world of ice and you can make the rounds with your ice skates. Because this year, the Vienna Ice Dream will take place again. But it's not just ice skating but also the colorful program that makes this winter landscape so special. But make yourself a picture of it. 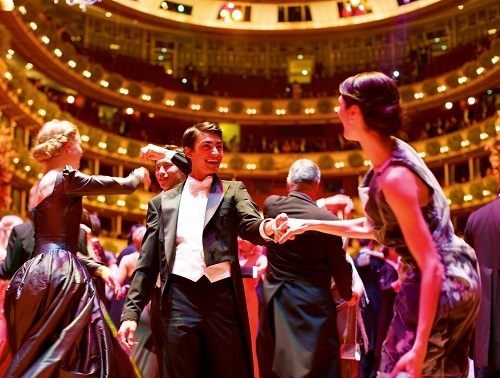 For one night, the Vienna State Opera is transformed into an impressive ballroom. Then it's time to say "All Waltz" and "see and be seen". Statesmen, artists, celebrities, people from Vienna and all over the world meet here. You can find more about the opera ball on the corresponding website. Vienna will be all about running this weekend because then the 36th Vienna City Marathon takes place. For all enthusiastic runners the highlight of the year. All information about the marathon can be found at www.vienna-marathon.com. 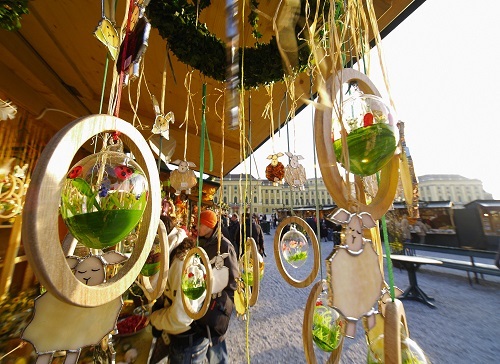 Around Easter, numerous Easter markets await visitors in Vienna, for example in front of the Schönbrunn Palace, in the center of Vienna or in the 17th district on the Kalvarienberg. Traditional Easter decorations and ornate eggs, culinary delights and fun music programs can be found in April at Vienna's Easter markets. Even for the small market visitors, there are all sorts of entertaining. A blog post about the Easter markets follows ... ..
From mid-May to mid-June, the Wiener Festwochen, a multi-disciplinary art festival, will take place again. In addition to the existing cultural offerings, they contribute to presenting and enabling the unseen and the unheard, and as a content engine to link genres, thoughts and ideas together. They combine theater, performance, dance, music, fine arts, installations, discourse, participation, workshops and new art forms that cannot yet be categorized. In short, exciting, challenging and unique events await you. Let yourself be surprised. 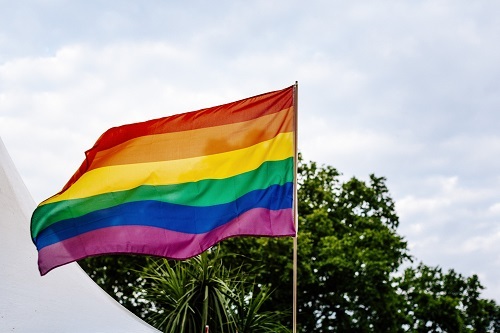 At the beginning of June, Vienna will again become the center of the European LGBT community: For two weeks, numerous information, discussion and cultural events as well as parties for equality and tolerance as well as homophobia and exclusion will be held. Highlights are certainly the Lifeball and the Rainbow Parade. At www.europride2019.at you find all the information needed. Let yourself be enchanted musically by the Vienna Philharmonic for an evening, free of charge. Enjoy a unique concert on a warm summer evening in front of the imposing backdrop of Schönbrunn Palace. Everything about the concert can be found at www.sommernachtskonzert.at. An island, 3 days party. The 36th Danube Island Festival, Europe's largest open-air festival with free admission, promises a fulminant atmosphere for 3 days for both young and old. It does not matter if you come with your children and the whole family during the day or if you want to make the night into the day. The Danube Island Festival offers again in 2019 program for everyone. Let yourself be surprised.